Dizzy Gillespie was one of the greatest jazz trumpeters of all times. Check out this biography to know about his childhood, family life, achievements and other facts related to his life. 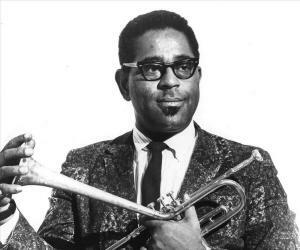 John Birks Gillespie, popularly known as Dizzy Gillespie, was an American jazz trumpeter, composer, singer and bandleader regarded as one of the greatest jazz trumpeters of all time. Unusually gifted from childhood, he learned to play the piano from the age of four, taught himself trombone and trumpet at the age of twelve and began his career in music at the age of seventeen. Soon his radically fresh style of trumpet playing caught the attention of Mario Bauza, the Godfather of Afro-Cuban jazz, and through him he met many other musicians with whom he developed the Afro-Cuban music. However, he is best known as one of the proponents of bebop, a modern form of jazz music, which he developed with Charlie Parker and others. In the later part of his career, he toured extensively, sharing his knowledge with younger artists, helping them to overcome their shortcomings and develop their own styles. Today, he is remembered as the greatest trumpeter that the 20th century had ever produced. Dizzy Gillespie was born as John Birks Gillespie on October 21, 1917, in Cheraw, South Carolina. His father, James Gillespie, a bricklayer by profession, was also a leader of the local band. His mother’s name was Lottie Gillespie. He was the youngest of his parents’ nine children. As the son of a musician, John was exposed to different types of musical instruments from childhood. Also having extraordinary musical talent, he learned to play the piano from the age of four. Unfortunately, his father died when he was only ten years old and thereafter, the family had to go through a lean period. In spite of that, his interest in music did not diminish. Contrarily, his talent earned him a place in the school band. At twelve, he taught himself to play the trombone. But when in the same year, his neighbor lent him a trumpet he immediately fell in love with it. Soon he was teaching himself how to play the instrument. However, he did not have any direction until one night he heard David Roy Eldridge play on the radio. He now took him up as his idol, dreaming of becoming a jazz player one day. As he turned fifteen he received a music scholarship to study music at the Laurinburg Institute in North Carolina. Here he studied for two years, taking part in the institute’s band, before he moved with his family to Philadelphia. In 1935, seventeen-year-old John Birks Gillespie began his career with Frank Fairfax Orchestra. It was here that he earned his nickname ‘Dizzy’ for his unpredictable and yet funny behavior. During this period, not yet having a style of his own, he mostly cloned his hero David Roy Eldridge. In 1937, he left Philadelphia for New York, where he first joined Edgar Hayes’ band. Soon, he made a name for himself in New York’s music circle, playing his trumpet with a radically fresh approach. Also in 1937, he went with the band on a European tour, visiting England and France, with ‘The Cotton Club Show.’ On his return, he worked freelance for one year. During this period, he experimented with music, creating a style of his own. Soon, his music attracted the attention of Mario Bauza, the Godfather of Afro-Cuban jazz, then a member of the Chick Webb's Orchestra. Later when in 1938 he joined Cab Calloway Orchestra, he convinced Calloway to hire Dizzy. Thus in 1939, Dizzy joined Cab Calloway on the recommendation of Bauza. Unfortunately, he could not develop rapport with Calloway as the later did not consider him to be a good musician. In spite of that, one of Dizzy’s first compositions, ‘Pickin the Cabbage’ was recorded with this band. In 1940, Bauza left the Calloway band. Then one day in 1941, during the rehearsal, somebody threw a spitball at Calloway. 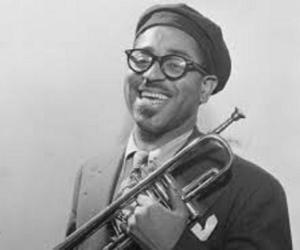 He blamed Dizzy Gillespie for the prank, which was denied by the other man. The altercation led to a fist fight and ultimately they took out knives. Before they could be separated, Calloway had minor cuts on his hands and buttocks. Although Dizzy tried to apologize a few days later, Calloway dismissed him from his job. By then, Dizzy had already started writing big band music for musicians like Woody Herman and Jimmy Dorsey. He now started freelancing for many noted bands. Later from 1942, he started freelancing for Ella Fitzgerald's orchestra, composed mainly of members of the Chick Webb's band. In 1943, Dizzy Gillespie moved to Earl Hines’ Grand Terrace Orchestra. He had, by that time, met Charlie Parker at Harlem and was immensely impressed by his music. On his recommendation, Parker was appointed for an eight month’s gig at Hine’s. However, their collaboration actually started in 1944, when Billy Eckstine opened his own big band and both Dizzy and Parker went with him. It continued even after Dizzy left Eckstine in 1945 to form his own small combo. Towards the end of 1945, Dizzy and Charlie embarked on a six-week tour to Hollywood and from 10 December 1945 to 4 February 1946, played at Billy Berg's. By the time the tour ended, they had given shape to the first modern jazz style, later known as the bebop music. Unfortunately, the audience was not very enthusiastic about this new form of music and was rather confused. Undeterred, the duo kept working on it, knowing that it would be accepted sooner or later. Dizzy Gillespie returned to New York in early 1946 and continued leading a number of small combos before he was able to set up his big band. During this period, he was introduced to Cuban jazz percussionist Chano Pozo, with whom he began to develop Afro-Cuban music. Subsequently, he along with his orchestra appeared in ‘Jivin' in Be-Bop’, a 1947 musical film produced by William D. Alexander. Also in 1947, he co-wrote (with Pozo) ‘Manteca’, considered as one of the earliest foundational tunes of Afro-Cuban jazz. In 1950, he was forced to break his band because of financial reasons. Thereafter, he worked solo, often teaming up with Charlie Parker. The Massey Hall concert in 1953 was the last major program, in which they teamed up together. The year 1953 was also the one in which he acquired his trademark. In a party on January 6, somebody sat on his trumpet, bending its bell upward in a 45 degree angle. Interestingly, he liked the sound better and from that point, bells of his trumpets were similarly bent. In 1956, Dizzy Gillespie organized a band to go on a tour of the Middle East with the State Department. It was a huge success and thereafter he began to be known as “the Ambassador of Jazz." Concurrently, he continued to lead his big band, performing throughout the United States and featuring many well-known musicians. In 1957, it recorded a live album at the Newport jazz festival. Although his innovative period was mostly over by end of the 1950s, his popularity continued to grow and he continued to perform at highest levels. Several of the recordings he made during the 1960-70s are now considered to be his best works. At the last stage of his career, he travelled extensively all over the world, sharing his knowledge with younger artists. In 1989, apart from appearing in one hundred U.S. cities in thirty-one states, he gave three hundred performances in twenty-seven countries. In the same year, he also performed with two symphonies, recorded four albums and headlined in three television series. In was also in the 1980s when he became the leader of the United Nation Orchestra. His last program was scheduled on November 26, 1992, at Carnegie Hall in New York City on the occasion of the centenary of the passing of Bahá'u'lláh, the founder of the Bahá'í Faith. However, he could not make it as he was too ill from cancer to be able to attend. Dizzy Gillespie is best remembered as one of the exponents of bebop, a modern form of jazz music. Although it was quite unpopular in the beginning as the audience was not yet ready for this new kind of jazz, it later gained much prominence. His compositions like ‘Groovin' High’, ‘Woody 'n' You’ and ‘Salt Peanuts’, ‘Night in Tunisia’ and ‘Con Alma’ became highly popular. He is also remembered for his work on Afro-Cuban music. His most famous contributions to this genre of music are compositions like ‘Manteca’ and ‘Tin Tin Deo’, which he co-wrote with Chano Pozo, a Cuban jazz percussionist, singer, and composer. Dizzy Gillespie received the Grammy Award for Best Improvised Jazz in 1976, Grammy Lifetime Achievement Award in 1989, and Grammy Award for Best Large Jazz Ensemble Album in 1992. 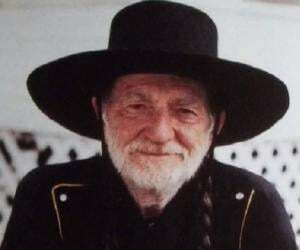 Later in 1995, he was inducted into the Grammy Hall of Fame. 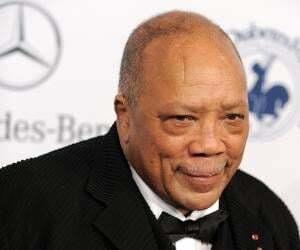 In addition, he had received Paul Robeson Award from Rutgers University Institute of Jazz Studies (1972), Duke Ellington Award from the society of Composers, Authors, and Publishers (1989), National Medal of Arts from President Bush (1989), and Kennedy Center for Honors Award (1990). Posthumously, he received Porin Award for Best Foreign Jazz Music Album (1998). Dizzy Gillespie met his would-be wife, Lorraine Willis, in August 1937 while he was working in Washington DC. At that time, she was a dancer in the Baltimore-Philadelphia-New York City circuit. Although Willis was initially indifferent, Dizzy won her over and the two got married on May 9, 1940. They remained together until his death. He also had a daughter, Jeanie Bryson, born out of a liaison with songwriter Connie Bryson. 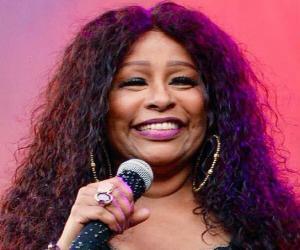 She is also a celebrated singer, specializing in a combination of jazz, pop and Latin music. Born a Christian, Dizzy Gillespie converted to the Bahá'í faith in 1968. Because of the universal nature of his faith, he saw himself as a global citizen and a musical messenger. He also took great interest in his African heritage. He died on January 6, 1993, from pancreatic cancer in Englewood, New Jersey. He was then 75 years old and was survived by his wife and daughter. He lies buried in the Flushing Cemetery, Queens, New York City. He was inducted into the International Latin Music Hall of Fame for his contributions to Afro-Cuban music in 2002 and the New Jersey Hall of Fame in 2014. In addition, he has a star on the Hollywood Walk of Fame at 7057 Hollywood Boulevard. Apart from his music, this famous trumpeter was also known for his swollen cheeks and his trademark trumpet, which had its bell angled at forty-five degree.